Changes in legislation bring cascading effects to organizations and their HR leaders — and understanding how to comply with new legislation and then implement those changes can be overwhelming. 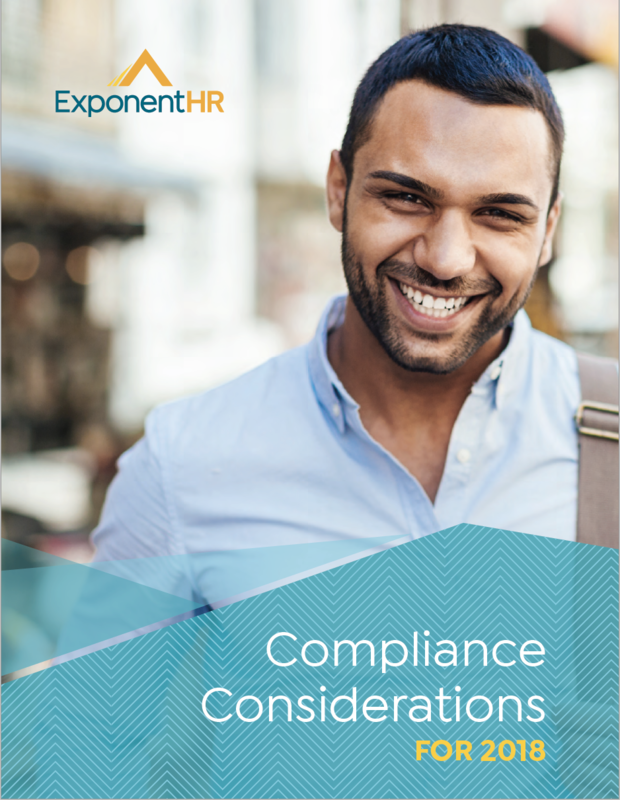 Compliance is especially top of mind this year, following major changes to the tax code passed in late 2017, state minimum wage laws, and other potential legislative and administrative actions that will require HR leaders to stay attentive and ready to act. Download the white paper to learn about which topics rise above the others for staying compliant this year. Thank you for downloading our resource! Do reach out if you have any questions regarding the content.